Disclaimer: I was sent a copy of both of these books for review No other compensation was received. The Maker Lab series from DK Books are among our favourites. The projects inside are geared towards different ages, require only a few (simple to locate, probably already in your house somewhere) items, and teach the kids something along the way. The latest incarnations are Junior Maker and Star Wars Maker Lab. These two books cover the kids in our house, from ages 6 to 12, and the parents get to have a week entertaining break. OK, there’s been another Star Wars movie come out and all of us middle-agers are reliving our childhoods all over again. The latest installment in the franchise may not have exactly had rave reviews, but this bookabsolutely does. A combination of crafts and science projects means the book isn’t limited just to die hard fanatics. From snow globes to light sabres, Kyber crystals to Ewok catapults, these 20 projects will minds and hands engaged. 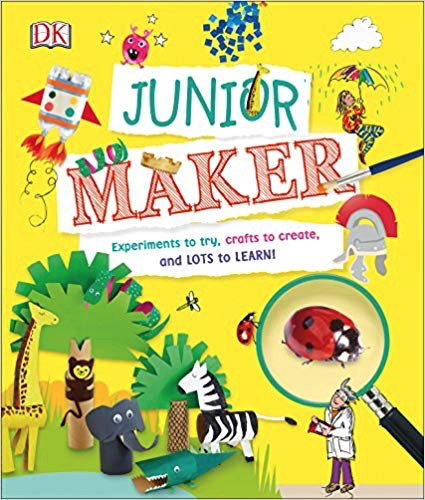 Now, for littler hands, the Junior Maker book offers up over 30 mini projects. Most require only minimal adult supervision. None of these projects will have your primary aged child splitting atoms or re-inventing the wheel. Think more along the lines of potato stamping and masks using leaves and flowers from the yard. In conjunction with my besties over at DK Books Canada, I am giving away a copy of both of these books. Simply enter using the Rafflecopter form below. Odds of winning will depend on the number of eligible entries received. Not responsible for lost or misdirected entries. No purchase necessary. Approximate retail value of the prize is $43. Open to residents of Canada only. Giveaway closes July 24, 2018 11:59 pm ET Good luck! 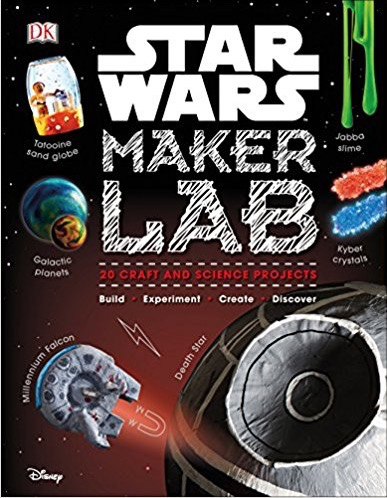 23 Responses to "Maker Lab from DK Books & Giveaway"
No, I haven't seen any! It is the kids who love Star Wars. No I haven't seen the latest one yet. I haven't seen it yet, soon I hope! I haven't seen it yet but I'm hoping to soon! Yes, we've seen them all, huge fans! I haven't seen it yet, but loved all the previous Star Wars movies. No I haven’t see the new movie but my son’s did and they loved it! I have not seen the latest Star Wars movie. I haven't seen the last Star Wars movie. I hope to see it on DVD. My family has seen them all. Big fans of Star Wars! I have or seen the most recent Star Wars movie, Solo. We haven't seen the movie yet but it is on our summer to do list! I haven't seen the latest movie but I have some little people who would love this book! No, I haven't but my Star Wars- obsessed crew definitely have! I have not, however my Son and Husband have and LOVED it. Sadly I have not seen the latest movie. No, I haven't seen the latest Star Wars movie yet. I plan to see it.